Robert I. Johns is the sole proprietor of ONSITE PC Assistance. A network administrator, Johns works on mostly low voltage equipment for home offices and small-to-medium sized businesses and subcontracts on a variety of larger jobs. In 2006, Johns started researching new multimeters. Price and reliability were important to him, but so were size, resolution, battery life, Min/Max, auto-ranging, and temperature. 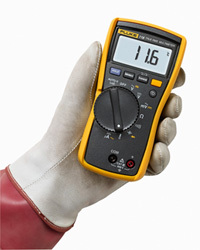 He chose the Fluke 116 DMM. As an independent contractor, Johns negotiates hourly rates and minimum charges for service calls. Since his ability to resolve issues quickly increases his average hourly rate, it's important to save as much time as possible at every stop. 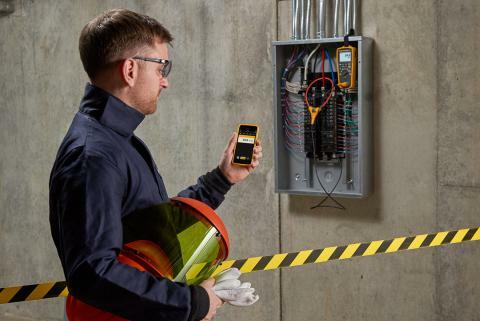 Using the Fluke 116 has helped him identify root causes, and in most cases, it prevents him from having to take things apart. 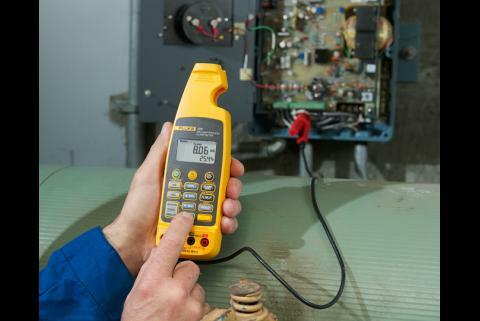 "Most of the readings I take are in the lower voltage ranges, so I needed a high resolution meter," says Johns. However: "The digital readout on the first meter I bought was limited to only hundreths. I wasted a lot of time by doing that. Now, he says, "The features of the 116 that I really love are the Automatic ranging, the ability to record minimum, and the positive/ secure connection of the probes to the unit." Johns doesn't always have access to the specs (or model numbers) of the equipment he works on in advance of arriving at the job site, so he can't always check what the voltages should be. The meter's ability to auto-range saves him the time and hassles of trying different settings. 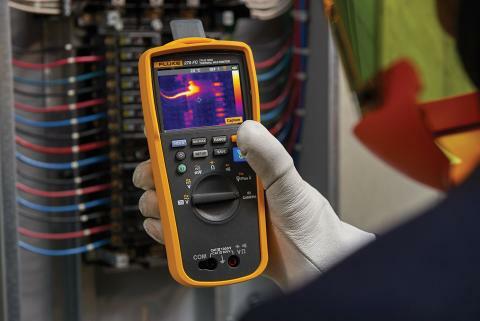 When set to Min/Max, the Fluke 116 can lock in on the numbers as they change faster than the naked eye. This allows him to focus on making a safe measurement, instead of directing all of his attention to the readout. Johns also uses the temperature function of the 116. The temperature probe allows Johns to diagnose thermal issues in running PCs. He reads the CPU and RAM surface temperatures while the PC is running applications (normally this is done in the system's BIOS, which can only be accessed before the PC boots up). This Timeplex Data/ Voice Network Exchange Unit was located in a telcom switching office in Huntington Beach, CA. The rack had two banks of Pioneer Magnetics power supplies, with two power supplies in each bank. I had to replace one in each bank. Once the power supplies were changed, if the voltage output on the primary or redundant was more than .001 volt lower than the other, the unit would begin to "sing," (a high-pitched squeal). That meant I had to adjust three pots on the back of each power supply to balance the outputs. That's where I needed the high resolution of the Fluke 116. I was scheduled to install and configure two POS Systems (PC, receipt printer, label printer, scale, pin-pad, touch screen monitor, all with separate power feeds), the manager's office computer/monitor/printer, and the WAN modem/ LAN router and switch. The local electrical company had just finished the power to the building shortly after I arrived. Since this was new construction and had never been powered on, the contractor did not want the owner to turn on the circuits until his team arrived. So, during the installation, I worked with a gasoline-powered generator. Once I installed the POS equipment, I was ready to start the software configurations. But, when I powered everything on, the battery back-up units began singing. That meant there was a power issue. When I turned on the battery back-ups, the voltage dropped to 113.4, well below the required 120 volts we needed to insure safe operation. But, when I tested the voltages coming from the generator and at all extension cords, they ranged from 126.9 to 127 volts. With the 116, I was able to see and show the owner that the RPM fluctuations of the generator's motor were causing the voltage to fluctuate. Although this was barely audible, it was easily seen on the 116 display. Since they were new battery back-ups, their batteries were in a relatively discharged state. 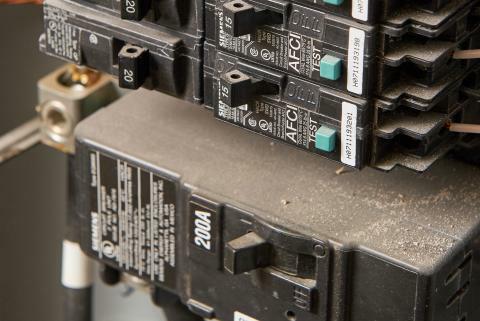 Supplying less than their rated minimum input (120 V) exacerbated the fluctuations of the generator, dropping the power (from the battery back-up receptacles) to less than enough to run the their internal charging systems and the attached POS system. The Min-Max recording feature made it very easy to show/explain the test results to the store owner and the project manager. All of the tests were executed without risking discharging the backup batteries or crashing the new equipment during the configuration process. Tested voltage from wall outlet and then through power cord. No shorts. Tested power on circuit board before mounting (good). Tested power on circuit board after fuse (none). Visual inspection of fuse was not possible as it was enclosed in a plastic shroud. Using the 116 validated opening the casing. How 116 was used: Tested wall outlet voltage (good). Tested voltage in power cord, before it enters in-line transformer (good). Tested voltage at output tip (none). Concluded power supply was bad thus no need to take down wall mounted access point; ordered new power supply. Tested dc volts at power feed and remote-on connection. Tested line-level inputs for signal. Determined that the internal amp was burned out without even opening it. Opening it confirmed diagnosis. Tested all batteries, all were within 1.4-1.6 dc volts. NOT a battery issue; was bad RF receiver. Wall outlet visibly damaged so I checked ac current at the receptacle for output/consistency before proceeding. Since current was fine, power problem was identified as internal to PC. Temperature measured at floor (70.3 °F), at eye level (73.1 °F), inside bottom of cabinet (73.4 °F), inside top of cabinet without drives running (77.8 °F), with drives running, and server plugged in (82.4 °F). Temperatures were within operating ranges of connected equipment, although previous tech had told them temperature was too high to utilize cabinet. Cabinet was used successfully and concerns were put to rest.